At the heart of Star Wars, one finds storytelling across multiple mediums, such as cinema, literature, and animation. All were represented at Star Wars Celebration Orlando and for those who love movement in lines and art, two panels specifically focused on the work of Lucasfilm’s animation department, channeled through Dave Filoni, the Last Airbender alum who has become the godfather of Star Wars animation. 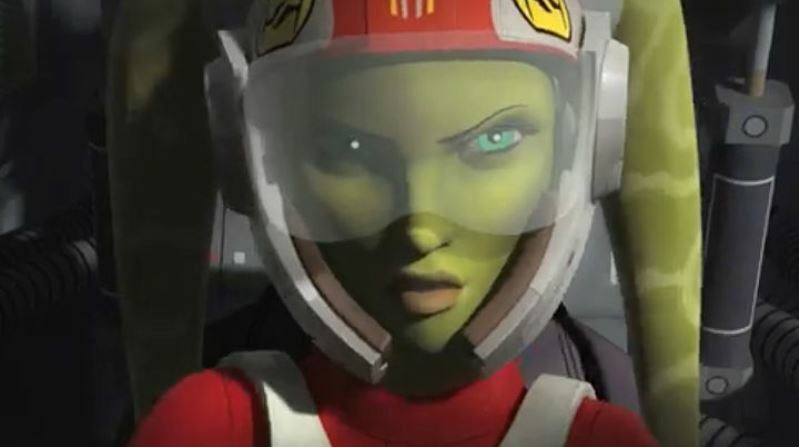 The first, “Dave Filoni: Animated Origins and Unexpected Fates,” came on Friday and was subsequently followed the next morning with “Star Wars Rebels Season Four.” Regretfully, the title of the first panel, “Unexpected Fates,” turned out to apply accurately to the Rebels panel when it was announced by Filoni that the original trilogy era show would conclude after its fourth season run. 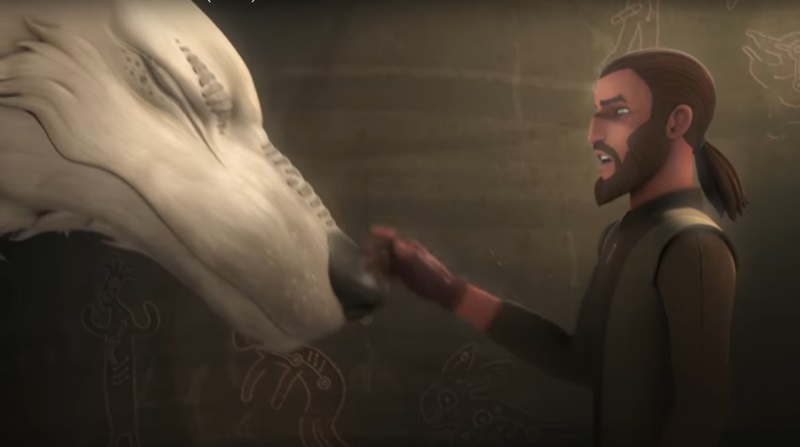 Describing a desire that every generation deserves a Star Wars show of their own, Filoni offered an additional justification that creatively, it was simply time to wrap up the stories of the rebels who called the Ghost home. Lifting the melancholy of this announcement somewhat was a promised of something new in the works, a promise which soothed a disappointed convention crowd. What the next project will be remains a mystery for now, though the sequel trilogy era remains the only major time frame in the Star Wars universe that has not enjoyed an animated television series. One new project which was revealed was Star Wars: Forces of Destiny. 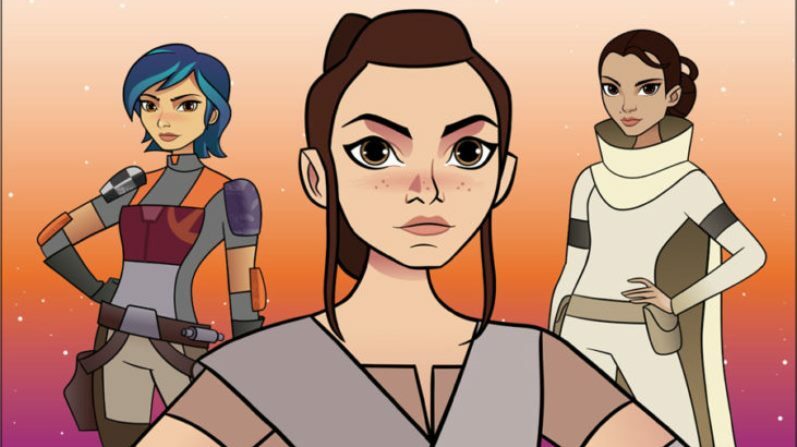 Forces of Destiny represents a purposeful shift to highlight the women heroes of Star Wars as an animated series of shorts, each focusing on one Star Wars heroine across different time periods in the universe. Appropriately announced in the “Heroines of Star Wars” panel, Forces of Destiny not only refocuses the spotlight on some of the strongest characters of the franchise, but wonderfully are all written by Jennifer Muro, who formerly has written for franchises from Marvel to D.C. to Disney. Putting emphasis on representation in the production side of Forces of Destiny is another step forward, albeit of a journey yet to be completed, for Lucasfilm finding equal representation throughout its products. A final note on Forces of Destiny, the shorts will be animated in the traditional 2D style, not used for a Star Wars show since Genndy Tartakovsky’s Clone Wars series that aired in the interim between the release of Attack of the Clones and Revenge of the Sith. Forces of Destiny will debut this summer. Check out a short trailer about the new show here! Beyond the announcements of what’s leaving us, Rebels, and what’s coming our way, Forces of Destiny, both Dave Filoni panels provided interesting tidbits about some of the more popular characters, such as the return of Darth Maul from the well-assumed dead at the end of The Phantom Menace. Maul’s resurrection, it turns out, was George Lucas’ idea, spurred by the Clone Wars’ team working on Maul’s not yet then brother, Savage Oppress. Likewise, Maul’s appearance on Rebels, came from a desire to provide a suitable conclusion to the former Sith’s story. The well-received “Twin Suns” episode, which saw Maul’s death, had to overcome several production issues, such as Filoni finding he needed to shave off more than ten minutes of the story to meet the tight twenty-one minute deadline required of every Rebels episode. Likewise, Filoni struggled with avoiding references to Maul’s past in Clone Wars, that co-panelist, Pablo Hidalgo aptly pointed out, had to be dropped because watching the prequel trilogy era set show couldn’t be a prerequisite for enjoying Rebels. The pair also shared some early art of Ahsoka Tano (some of which can be found in The Art of The Clone Wars tome), while remaining quite mum about the fate of the white lightsaber wielding Force user. That silence did not last, but was interrupted in only the most teasing form one could imagine, the changing of t-shirts. In the “Origins” panel, Hidalgo wore a shirt given to him by Filoni which simply said, “Ahsoka Lives?” Filoni wore the same shirt for the Rebels panel until the lights went out for the reveal of the Season Four trailer. When the lights returned, Filoni had changed into a t-shirt that proclaimed, “Ahsoka Lives!” Little else was said, but things look bright that we will see Tano again in one form or another before the end of Season Four. 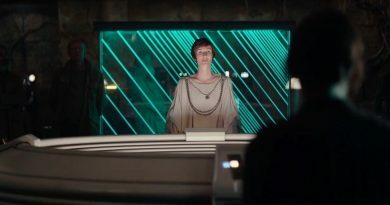 Other returning characters that were announced or revealed included Bo-Katan, the sister of Duchess Satine Kryze, who ruled Mandalore until her death at the hands of Maul, Saw Gererra, who will continue inching his way toward the Saw of Rogue One, and additional moments with Mon Mothma. 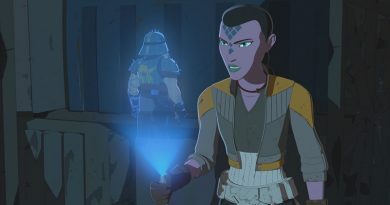 A final and telling addition to Rebels’ cast of characters will be Rukh, an alien bodyguard of Grand Admiral Thrawn introduced initially in Timothy Zahn’s Thrawn Trilogy. Rukh will be voiced by Star Wars veteran Warwick Davis, who all but blackmailed Dave Filoni at the previous celebration for the opportunity to feature as a voice for Rebels. For an exciting glimpse of what’s more to come, check out the Season Four trailer below. Watch the entirety of “Dave Filoni: Animated Origins and Unexpected Fates” panel here. Watch the entirety of the “Star Wars Rebels Season Four” panel here. 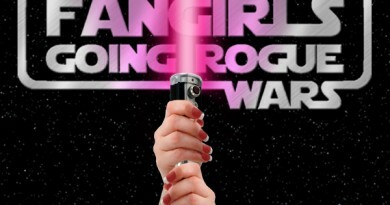 Watch the entirety of “Heroines of Star Wars” panel here.